There’s been a special kind of excitement around Milk Teeth’s sold out headline show at the Underworld. A band that has toured relentlessly since the release of their 2016 debut ‘Vile Child’ and deservedly carved a reputation for iconically explosive live shows – to see their name finally hang above this classic venue as headliners feels almost righteous. Nervus and Fang Club offer two sublime support sets, as the bathrooms are suitably marked as ‘gender neutral’. A gesture that feels both fitting and progressive, much like the band and the audience packed inside tonight who have managed to create a space that feels inclusive of everyone irrespective of gender or race. 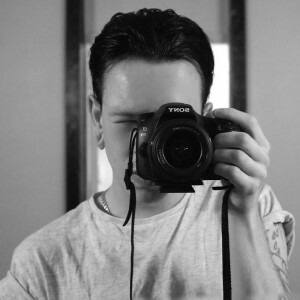 Something that deserves infinite recognition. 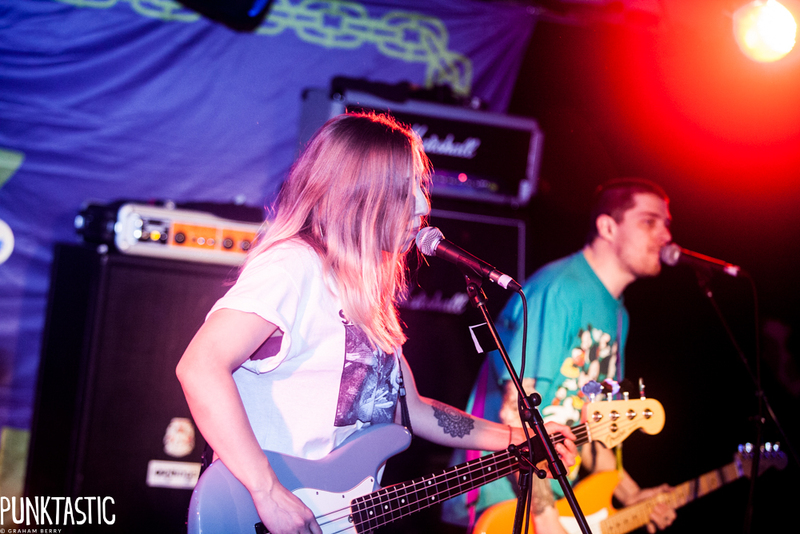 Any nervous anticipation for what is definitely Milk Teeth’s biggest show to date bursts into pure emotional chaos though, as opener ‘Nearby Catfight’ sends the place into delirium. Stage divers clamber over everything and each other, one wearing shoes with glowing neon lights, to shout every word back towards the stage. After tearing through ‘Burger Drop’, ‘Brain Food’ and ‘Brickwork’ in what feels like three or four minutes, fan-favourite ‘Swear Jaw’ eventually brings the whole crowd to a swaying mass singalong with phone lights and lighters held high as guitarist Billy Hutton swaps out for an acoustic guitar. The band even manage an acoustic cover of Foo Fighters ‘Everlong’, which sets apart perfectly from the rest of their set. The gleaming, chiming intro of ‘Prism’ quickly sets things right back off again though, and the room is once again a complete riot. It’s one of those nights that seem to flash into life and all of a sudden end with a feeling that it’s over before it’s began. But the band could probably play every song twice over and everyone would still be here hanging from every word. 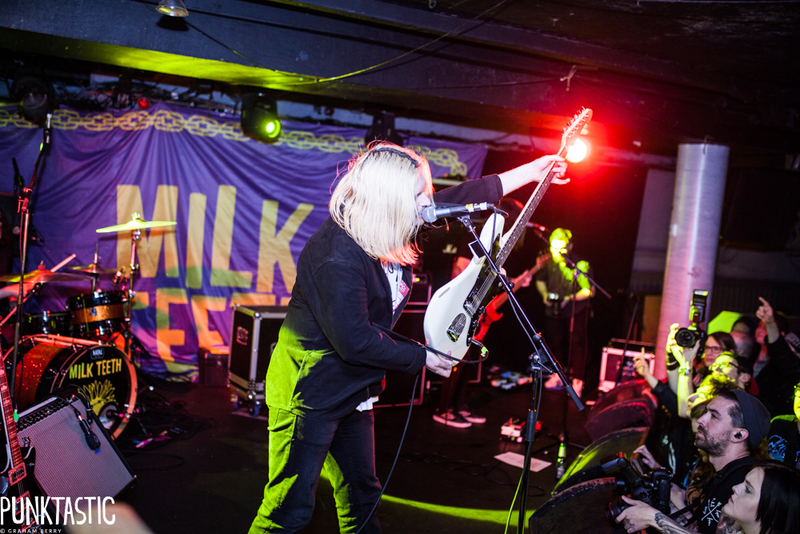 Headlining the Underworld feels like something of a homecoming for Milk Teeth. The beginning of the next phase for one one of the most exciting live bands around right now. As they almost tear down the walls with blasting final song ‘Owning Your Okayness’ it’s almost a statement that this is where they should have been this whole time.